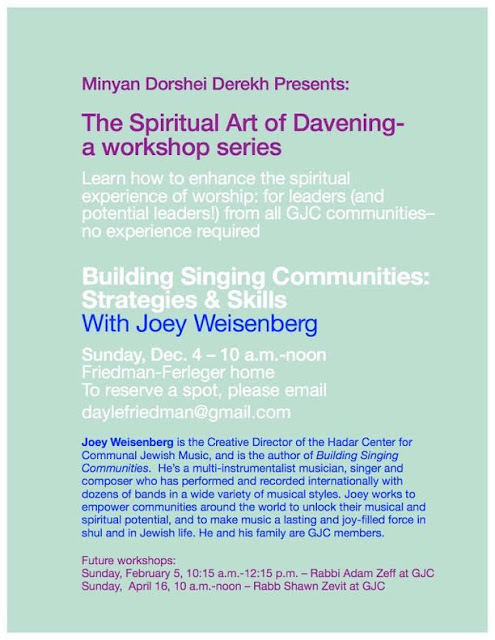 Join Dorshei Derekh at "The Spiritual Art of Davening - With Joey Weisenberg in Mt. 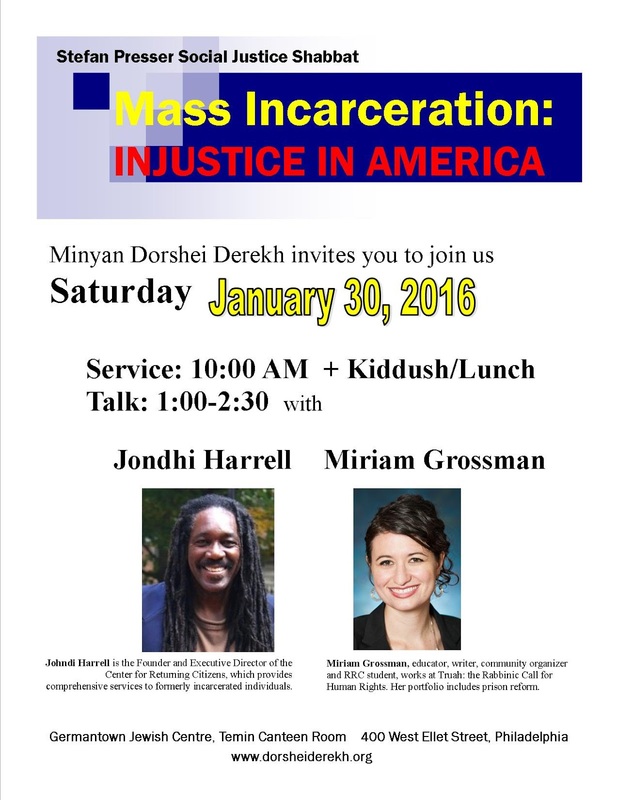 Airy"
Dorshei Derekh will celebrate 30 years. Please come back and visit if you are part of the DD Diaspora! We will join for a festive catered Shabbat dinner following, for which reservations are necessary. The deadline for reserving is a week before, November 25. To reserve via PayPal, send your $$$ to Arnie Lurie, our treasurer, at treasurer@dorsheiderekh.org. The meal is subsidized by our minyan treasury. Shabbat morning we will begin at 10:00 AM in the Temin Canteen Room. Themes of our future community will be woven into services. 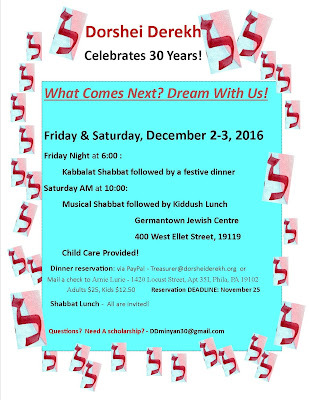 Looking forward to a great shabbat together! Please share with friends. We will include musical instruments in davening. Here is the GJC policy. Debbie Stern and Elana Shaw: Mother-Daughter Welcome Team! When Debbie Stern and her husband were first married, Friday night meant a kosher dinner prepared in their fifth-floor walk-up on Manhattan's East 89th Street, a turn-of-the-century apartment with a bathtub in the middle of the kitchen. By the time Stern's daughter, Elana, was a teen, the family had decamped for Valley Cottage, N.Y.; there, Shabbat evening meant a challah from Rockland Bakery, an argument about whose turn it was to light the candles, and a twinge of adolescent annoyance during the parents' customary blessing of the children. "I remember my mother wanting to put her hands on my head, and I didn't want her to," Elana Shaw says. But the rebellion was short-lived. Today, this mother and daughter are not only observant Jews, but professional Jewish educators whose choices run counter to a widespread trend of religious disaffection. According to a 2013 Pew Research Center survey, one in five Jews describes him or herself as having no religion, and 62 percent say being Jewish is mainly a matter of ancestry and culture. Among Jewish respondents who have married since 2000, nearly six in 10 have non-Jewish spouses. 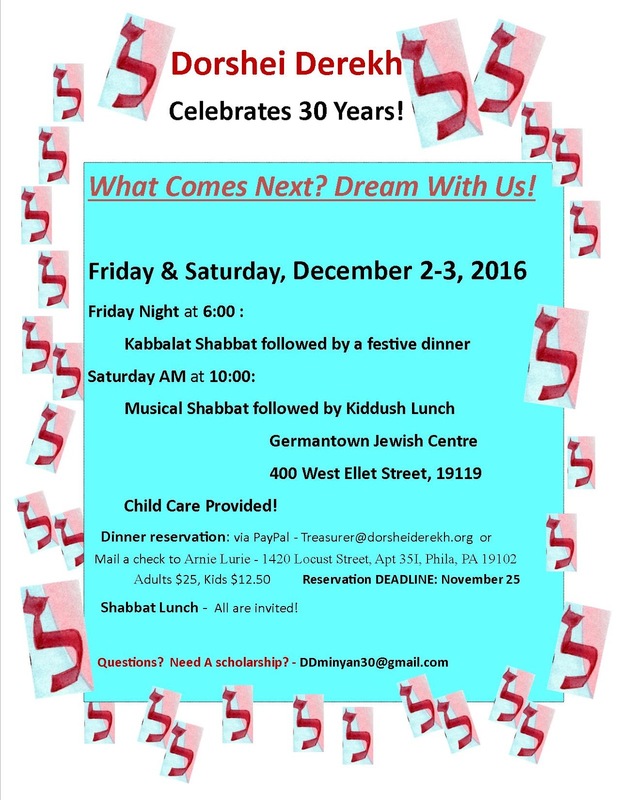 Dorshei Derekh 5777 Special Events! 'Humans plan, and God laughs." This Yiddish proverb is not as impious as it might seem at first glance. It declares succinctly an undeniable truth of the human condition: We are not in control. No matter how meticulously we plan, there are innumerable variables for which we can't fully account. Often enough, we plan, and things turn out the way we want. And then we are tempted to believe that we are in control after all. Our behavior certainly affects outcomes. If I consistently consume fewer calories, there is an excellent chance that I will lose weight. If you treat another person with kindness and compassion, you are far more likely to make a friend than if you are cruel. If your work performance is skillful and conscientious, your job security is likely to increase. 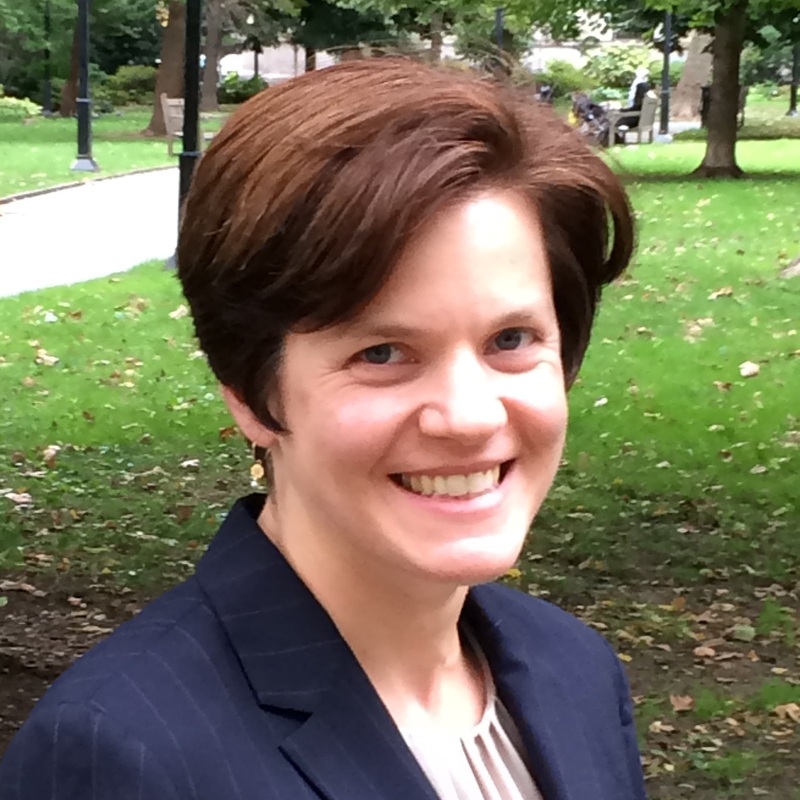 Mazel tov to newly ordained Rabbi Ora Nitkin-Kaner. 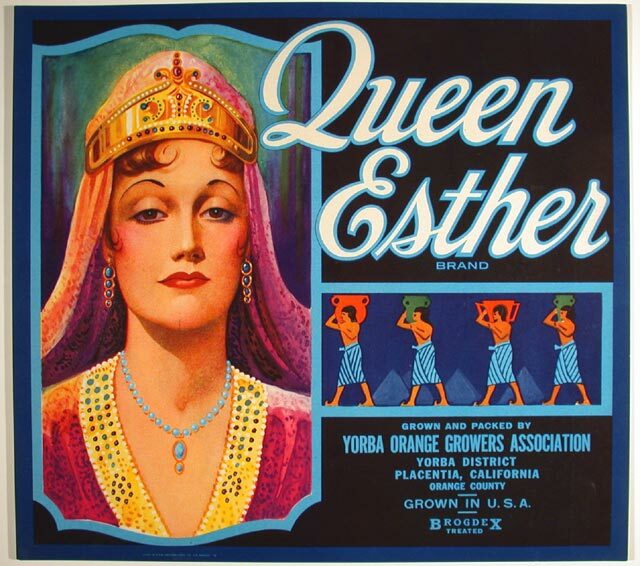 Here is the davar torah she presented on the shabbat preceding her ordinationat RRC, connecting the curses of the parshah - being fearful even when threats are not there - with her experience as the granddaughter of Holocaust survivors. The feeling of being pursued in the absence of a pursuer – fear unrooted in fact – is something I’ve been reflecting on lately, as I’ve begun to pay closer attention to my own experiences of fear and fearfulness. For me, fear lives in the belly, a lump of low-level dread. And sometimes, when I am particularly frightened of some imagined future, it radiates up into my throat. To be clear: My fear is utterly irrational, ungrounded in my actual experiences of life and loss. I grew up loved in a safe, middle-class home in Toronto, never persecuted for my religion, never experiencing war or trauma. But, but: I am a grandchild of Holocaust survivors. In recent years, researchers have been working on better understanding something called epigenetic inheritance: the fact that an individual’s lived experiences can leave genetic alterations in their DNA that can get passed on to subsequent generations. In one surprising study that confirmed the existence of epigenetic inheritance, researchers gave male lab mice electric shocks every time the mice were exposed to the smell of orange blossoms. The Pavlovian result was that the mice eventually grew to shudder at even a hint of the smell. This was predictable. The surprise, however, was that the children and grandchildren of these traumatized mice also instinctively feared the smell of orange blossoms, even though they had never received any shocks, any sort of negative conditioning. Only last year, another study analyzed the genes of 32 Jews who had either been interned in a concentration camp, witnessed or experienced torture, or who had had to hide during the Holocaust. It then analyzed the genes of their children and grandchildren, and found identical increased mutations for stress disorders in the survivors and their offspring. So: it seems I bear the bodily wounds of a trauma I never lived, always anticipating, on some level, an enemy who is not there. And this is why Bechukotai is so heartbreaking for me –because curses– even curses that come true -are one thing. But to live in a fear that is rooted in belly and bone – a fear that does not protect us, precisely because there is nothing to be protected from – is a burden that no one should have to know, but so many of us do. In reflecting on the nature of fear – how it lives inside, how it feels in the body – I’ve noticed that fear can act like a horse’s blinders – preventing us from looking up, looking around, noticing the blessings of our lives. When we do not feel safe – when we are curled into ourselves like an involute – we can lose the ability to feel that we are blessed, even if our lives are awash in blessing. So what is the way forward? How do we honour inheritance, without allowing ourselves to dwell indefinitely in fear? I want to bring you back to the parsha – because I think it offers us two possible ways out of the darkness of ungrounded fear. Bechukotai opens with a list of blessings. But being blessed is not enough. To counteract fear, we also need gratitude – but not facile gratitude, not running through the streets lobbing thank-yous like bouquets of flowers. True gratitude requires and invites us to stop, look up, and notice blessing – to not be so focused on the imagined fears of the present, on the future we are so frightened of. If we can get out of the fear long enough to be present, to notice that we are, actually, all right, we can unclench. And breathe. So that’s one way out of fear – through seeing blessing, through light. The other way is to engage with the dark. In Hebrew, the word for curse is klala. But the root of this word – kuf lamed lamed, kalal – is also the Hebrew verb to burnish - to polish to a shine. If we allow tragedy to touch us – to not always live in fear of rustling leaf and the imagined blow, but rather to unclench and let the sting and the sweetness wash over us as they come – we have the opportunity to be slowly transformed. Loss and grief and sadness are the effects of our modern curses, and the cost that comes with loving people. But loss and grief and sadness offer us the opportunity to let life rub against us, wearing down our rough edges, our spikes that we pushed out in anticipation of pain. Life, if we let it, can polish us to a sheen. From the beauty of our burnished selves, we can shine and reflect light to others. And see ourselves more clearly, the darkness and the light that surrounds us. Purim's GJC Tsedakah Collective 2016 - Please Participate! This Purim, GJC and Minyan Dorshei Derekh will once again run our Mishloah Manot tzedakah collective project, continuing a tradition of over a decade. It allows us all to fulfill two of the important mitzvot of Purim: mishloah manot (giving treats to our friends) and matanot la’evyonim (giving gifts to the poor). You donate to the project – suggested minimum, $18, no maximum! The bulk of the proceeds is donated as tzedakah to three local organizations providing direct support to the needy. A small percentage of the proceeds will be used to provide aFair Trade Equal Exchange Chocolate bar + clementine each household attending the Charry Megillah Reading and/or the Dorshei Derekh evening Purim celebration Wednesday night, March 23. We are dispensing with the tradition of clementine cartons filled with goodies; families have been reluctant to take them. Rather than waste food, we are “minimizing the waste and maximizing the mitzvah“. By purchasing Fair Trade chocolate, the mitzvah of helping the poor support themselves is integrated into the ritual of mishloach manot! 1. We will once again be supporting a Weavers Wa y Community Program, the community garden at Stenton Family Manor, a homeless shelter in Germantown. The grant helps a farm educator teach residents how to raise food. The produce raised is used directly in the kitchen to feed residents. Hebrew Immigrant Aid Society, HIAS-PA.
3. We will also support The Center For Returning Citizens, whose head Jondhi Harrell spo ke at the Stefan Presser Social Justice Shabbat this past January. 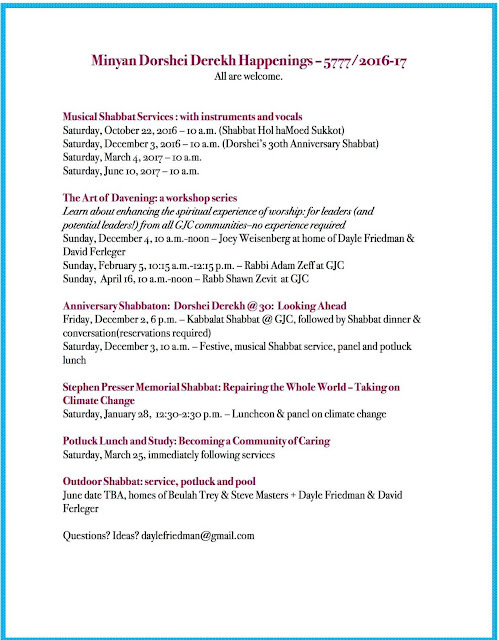 Dorshei Derekh hosts an annual Shabbat focused on social justice in memory of Stefan Presser, a minyan member committed to social justice and proud head of the ACLU. Stefan passed away at age 52, from a brain tumor, in 2005. We have picked a topic each year to learn more about, spurring individual and collective action. This year's event was very well-attended with both of our speakers providing both inspring as well as deeply distrubing presentations - there is a lot of work to be done. Below, Rabbi Malka Binah Klein has provided links for further information. Kudos and thanks to our chair, Donald Joseph, and the committee - Rabbi Michele Greenfield, Rabbi Malka Binah Klein, David Mosenkis, and Betsy Teutsch. Learn about prisoner advocacy at Prison Society. Abigail Weinberg taught a wonderful Linda Hirschorn chant, Circle Round for Freedom. 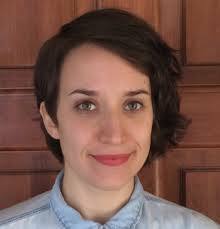 Naomi Hirsch has supplied the lyrics and a YouTube.